Chiropractic care is an extremely safe, mild and gentle way to ensure that your body is in proper alignment. If a bone is out of place, it can pinch nerves and result in various types of pain or disease. Chiropractic adjustments allow your muscles, ligaments and tendons to make changes and hold the correct position so that your symptoms can resolve. We’ll talk you through the process of the adjustment before beginning. Our chiropractors are trained in multiple techniques and primarily use Diversified, a hands-on adjustment, Thompson, which utilizes a comfortable drop piece and Activator®, an instrument-based method. We ensure that our methods suit you so that you get the best possible results. 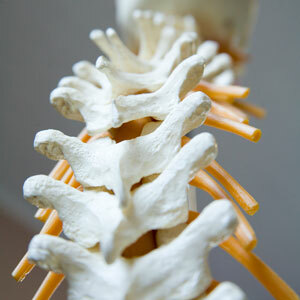 Additionally, our team of chiropractors can consult with each other, putting their combined knowledge at your disposal. Your visits will have a higher frequency at first, then cut back as you start to feel better. Our patients usually choose to continue with wellness care, which involves a monthly visit to maintain the spine’s optimal function. When appropriate, we may recommend corrective custom orthotics, Kinesiology Taping, spinal decompression or any of our other services to benefit you. Contact us today to schedule your appointment at our one-stop practice for better health! We look forward to meeting you and discovering what we can do for you.